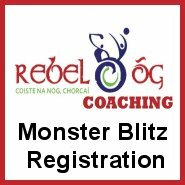 Please see attached times for next Saturdays blitz. Please ask parents/mentors/visitors to Pairc ui Chaoimh to park only on Stadium Grounds, which can be accessed by the slip road beside Lee Rowing Club on the North side of the stand. It is very important that visitors do not park on the roadside in front of the Astro Turf, on the Footpaths or the grass merges. There is sufficient parking on the stadium grounds for all people travelling to the blitzes. Please please ensure you tell all parents about this. Teams are asked to arrive 20 minutes before their start time e.g. if you are in the 10.30am slot, please arrive no later than 10.10am. Teams will have 1 hour on the pitch, playing 3 x 15 minute matches. I will be doing the Full time whistle for each game, so that all games finish at the same time. You will have 5 minutes between the end of a match and the start of another match. If mentors take longer than 5 minutes to get the team ready, then the game time will be shorter, so please be punctual and move the teams for their matches swiftly. As soon as teams gain access to the pitch, they should be ready to play the matches. There is no time for Warm ups or team photos beforehand. Clubs will get an opportunity after the 3 matches to get a team photo. Upon arriving at the grounds, the lead mentor to register with me and i will give you your allocated pitch/es. Only Players and Mentors are allowed on the pitch. Clubs will be given 3 mentor passes per team, nobody else will be allowed into the pitch. Parents can watch from the viewing stand. Photographers need to get permission in advance if they want to gain access to the pitch, so if there is a club photographer, they need to email me for permission before Wednesday at 6pm. Clubs are asked to bring their own footballs, with their names clearly marked. Clubs are asked to bring a young referee for their teams also, where possible. We will not be providing referees, whistles or equipment. If bringing water bottles, please have them pre-filled before arriving at the grounds as there will not be access to a tap on the stadium grounds. There will be a number of stewards and GDAs on duty Saturday, so please listen to their requests to ensure everyone has a fun and enjoyable day. 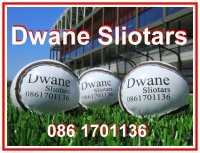 Any queries, contact me on 0863687799.